Donald Trump has promised Theresa May a UK-US trade deal “very, very quickly” after Brexit, while trade minister Liam Fox has been cosying up to authoritarian leaders around the world, claiming new trade deals can be the solution to our post-EU problems. But current proposals in the Trade Bill allow the government to strike these deals without any public scrutiny or parliamentary oversight. Giving government ministers the power to bargain away rights and protections on everything from food safety to the NHS. 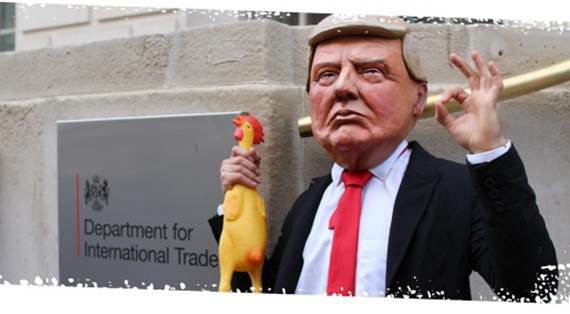 We stopped TTIP – now we need to secure a democratic voice in trade policy. To stop dangerous deals being done in the dark and ensure they put people before profit. Join us on Monday 22 January to find out how.